Five hundred years ago Michelangelo began work on a painting that became one of the most famous pieces of art in the world—the Sistine Chapel ceiling. Every year millions of people come to see Michelangelo's Sistine ceiling, which is the largest fresco painting on earth in the holiest of Christianity's chapels; yet there is not one single Christian image in this vast, magnificent artwork. The Sistine Secrets tells the fascinating story of how Michelangelo embedded messages of brotherhood, tolerance, and freethinking in his painting to encourage "fellow travelers" to challenge the repressive Roman Catholic Church of his time. The Jewish community in Italy has a long and storied history going back more than two millennia to the days of the Roman Empire. This remarkable guidebook-the only one of its kind-is a city by city survey of every location in Italy that contains art, artifacts, or architecture tied to the Jewish heritage of Italy. Included are scores of synagogues as well as scrolls, texts, artifacts, and Jewish cemeteries. Of particular interest are sidebars explaining fascinating peculiarities of various Italian Jewish communities. For instance, Tuscan Jews in the medieval period spoke a distinctive version of Italian dialect peppered with phrases from Hebrew and other languages, a sort of Italian Yiddish. 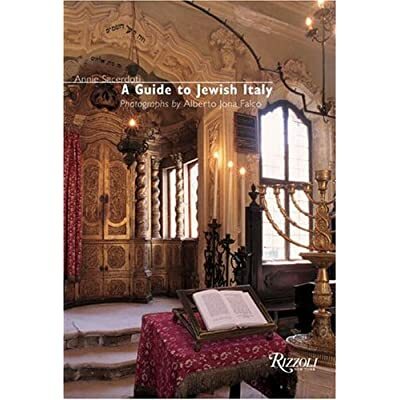 Sure to fascinate devotees of Jewish culture and lovers of Italy, The Guide to Jewish Italy is perfect for armchair travelers and inveterate tourists alike. Yet this written record tells only one part of the story. Pictures tell another. In The Jew in the Art of the Italian Renaissance, Dana E. Katz reveals how Renaissance paintings and sculpture became part of a policy of tolerance that deflected violence to a symbolic status. While rulers upheld toleration legislation governing Christian- Jewish relations, they simultaneously supported artistic commissions that perpetuated violence against Jews. The economic benefits Jewish toleration supplied never outweighed the animosity toward Jews' participation in the Christian community.